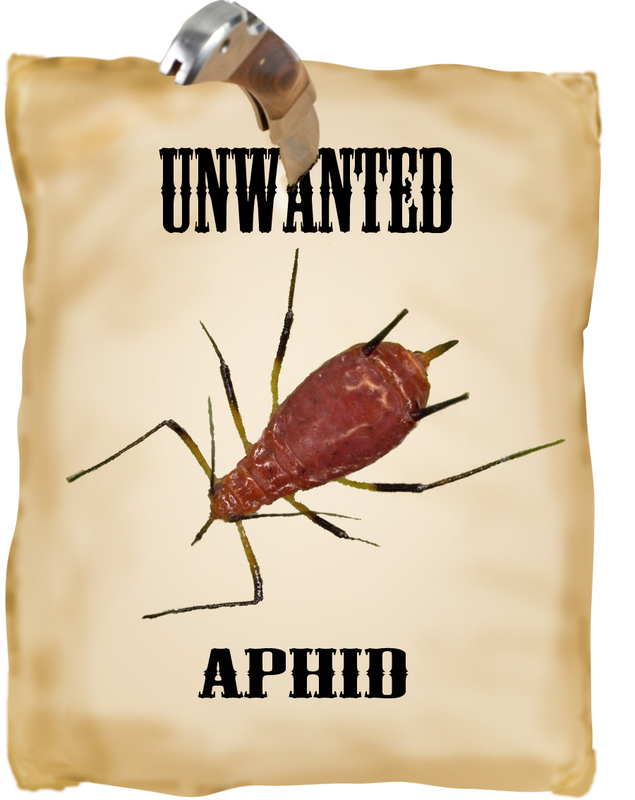 #7 in our series on America’s Most Unwanted garden pests is the all-too-common aphid. Aphids otherwise known as plant lice, are tiny soft-bodied, sucking insects. With over 4,400 types of aphid worldwide, they are the most common garden pest. Most aphids only target one kind of plant, while others have a much broader diet. These tiny (1/32”) pear-shaped insects can be winged or wingless and almost any color. A colony of aphids can cause substantial damage to plants, trees and shrubs including yellowing or curling leaves and stunted growth. In addition to sucking the juices from plants, their saliva is actually toxic to many plants. Aphids often transmit fungi and disease to the plants they infest. 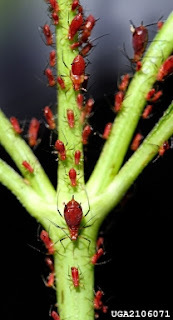 In the process of feeding, aphids secrete a sticky, sugary liquid called honeydew -- which can rain down from the trees on anything below it, like your car or lawn furniture. Given the size of an aphid, when there’s enough honeydew to drip from a tree, you know that there is a huge population feeding above. The sweet honeydew is attractive to ants. 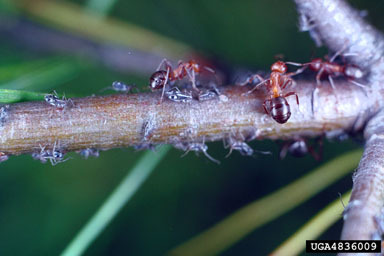 Many sugar-eating ants actually act as body guards to aphids: they protect them in order to milk the aphids for honeydew. In addition to the damage aphids cause directly, the honeydew can make plants more susceptible to fungi, like sooty mold. Inspecting plants for aphids is the first step towards controlling this pest. Many aphids are well camouflaged to blend with the plants they target. Their coloring – along with their tiny size – means aphids are often overlooked until they are so numerous that they coat the plant. Aphids are a preferred food of beneficial insects like ladybugs, predatory wasps and lacewings; a sufficient population of these species can keep aphids under control. If aphids have populated a plant or shrub, a stream of water from a garden hose can sometimes dislodge them; although flying aphids are likely to return, crawling ones often won’t make it back to the plant. Because of the potential damage from aphids, as well as the diseases they transmit, it is wise to begin controlling aphids at the first sign of infestation. Almstead arborists offer both organic and traditional methods for control. Often a single application in spring is sufficient to keep aphids in check.